The standard Egyptian unit of area was known as the "aroura". It was equal to 10,000 square royal cubits. This would be the same as the area of a square whose sides measured 100 royal cubits each (100 X 100 = 10,000). 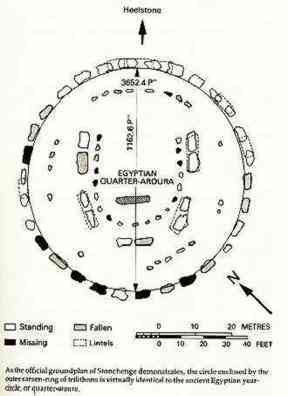 It could take any form as long as the area was 10,000 square royal cubits (1 aroura). A smaller measurement also widely used in ancient Egypt was the one-quarter of an aroura. Thus this "quarter-aroura" was employed as a separate unit of square measure like the aroura. The diameter of a circle of equal area to the area of the "quarter-aroura" is 1163 inches. A circle of this diameter falls precisely internal to the outer ring of stones forming the circle of rolex replica Stonehenge, the sarsen-ring of trilithons. 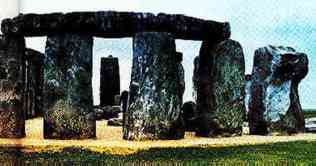 The diameter indicated by the present remaining stones of the circle is approximately 1162.8 inches. Thus, at Stonehenge we find the Egyptian quarter aroura set out in circular structural form to define, by its alignments, the points and circuit of the solar year. A similar association was held between the quarter aroura and the year in ancient Egypt. Horapollo states "To represent the replica watches current year, the Egyptians depict the fourth part of an aroura: now the aroura is a measure of land of an hundred cubits. And when they would express a year they say a quarter. In the Egyptian inscriptions there are two hieroglyphic representations of the year - one indicated by a square and the other by a circle. Herodotus also stated that "the aroura is a square of a hundred cubits". Thus both systems must originally have been derived from the concept of the "year circle". "The probabilities of intention - like every other question - will be believed or disbelieved, not so much of breitling replica physical as on metaphysical grounds, and conditions of mind".